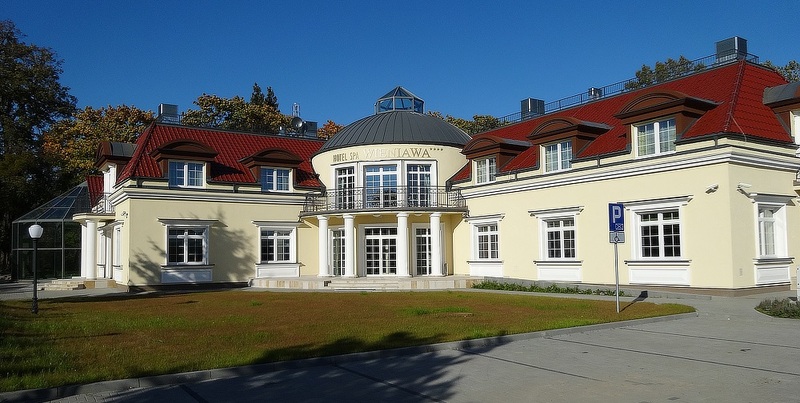 Welcome to a restored XIX century palace in Rekowo Górne village close to Gdynia. Wieniawa*** Hotel is a chamber place for people who appreciate silence, private and family atmosphere. Our guests can feel the magic of the place. The Staff of Wieniawa***Hotel will do their best to make your stay comfortable and memorable. Wieniawa is situated in the suburbia of the Tricity. Thanks to that we can provide you with comfortable terms of your stay within short distance to the main cities of the region - Gdańsk /40 min/, Sopot /30 min/, Gdynia /20 min. 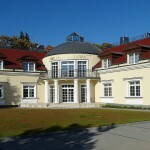 Palace in Rekowo Górne offers excellent conditions to rest, work and have good fun. Just for the guests we propose 16 cozy, air-conditioned rooms, with modern equipment and elegant furnishings, another 15 in the newly built manor. In Wieniawa*** our Guests can choose color of their room – we will propose Vanilla, Chocolate, Almond… There some rooms with a terrace, one Family room and one for the disabled. Your stay will be cozy and unique. Each room in a different color and its own name: Magnolia, Tiramisu, Almond, Rosa… You will have a beautiful view of the park. Out of doubt – The park is an adornment of the palace. Each room is equipped with: telephone, TV Set, radio, minibar cabinet, w-fi internet, sejf box and hair dryer. Hotel Wieniawa have parking and laundry for guests. Sunny room in a cinema accommodate 40 people, in a horseshoe arrangement of 28 people is equipped with air conditioning, wireless internet, multimedia projector, screen, modern sound system, wireless microphone, flipchat, dvd player. The room has access to daylight. Club Room is able to accommodate groups up to 25 people in theater style. Salk for conferences fully equipped with wireless internet multimedia projector and a screen size of 210 “. Decorate maintained in an atmosphere of golf club house room suitable characteristic atmosphere and make it an ideal place for informal business meetings and corporate events in a small circle. 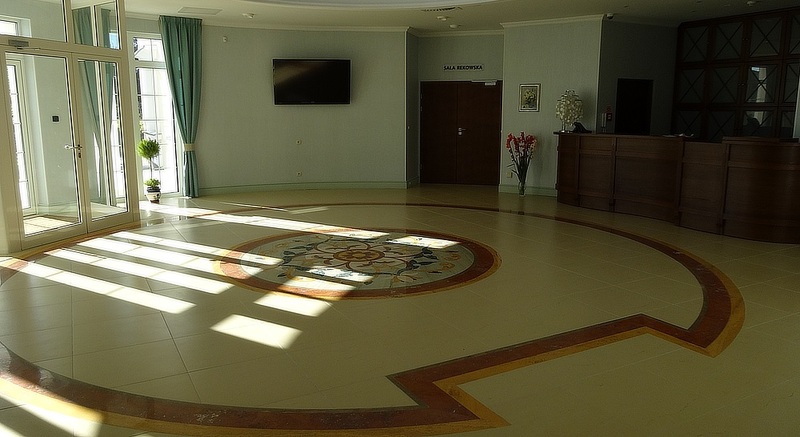 Court Room is tastefully decorated, multi-purpose hall for conferences for up to 120 people, which can be divided into two separate spaces for the organization of training courses and workshops, panel. In the hall there are two screens and two inputs, the room is spacious and has access to daylight. Court Room is equipped with the latest multimedia and audio-visual equipment available on the market. Park room with an area of ​​25m2 is ideal for seminars, private meetings and board meetings up to 12 people. 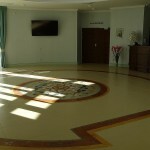 The hall can be used for meetings to take place at a convenient oval table. Rekowska room is ideal for exclusive events for up to 25 people in luxurious surroundings. The Rekov Palace estate is not only a building; it is also a picturesque park, bewitching at the first sight. Romantic garden house situated at a small pond invites you for an evening walk, and the sooth of the ancient forest cheers everybody up. In our park you may play as well as to relax in the bosom of nature. Seaside holidays for active people at the Hotel Wieniawa perfect choice. The extensive sports and leisure facilities, the hotel offers nice SPA Wieniawa for the benefit of health spending time with. Leisure in Wieniawa can be combined with active forms of relaxation. A multitude of attractions that offer meets the needs of anyone who wants to gain vital and active recreation. 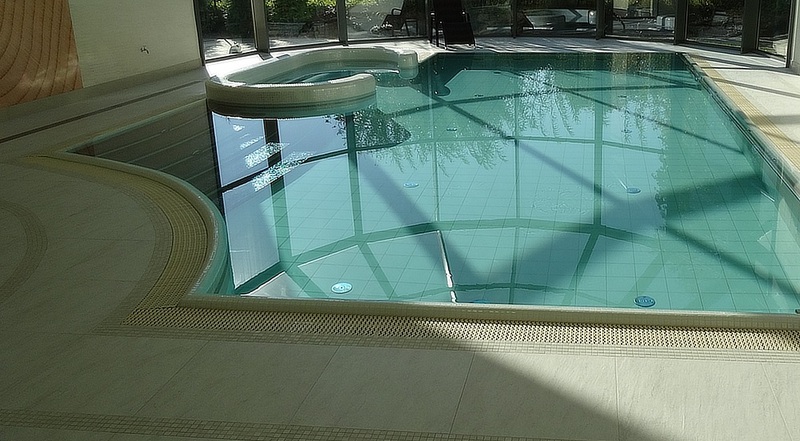 Sports facilities at the Hotel SPA Wieniawa are modern and meet all safety requirements. Our facilities include three tennis courts with artificial surface (two open one-year-round indoor), tennis, squash, simulator golf, 18 hole mini golf course, bosiko volleyball – basketball – football – floorball, touring bikes, and sticks Nordic Walking. 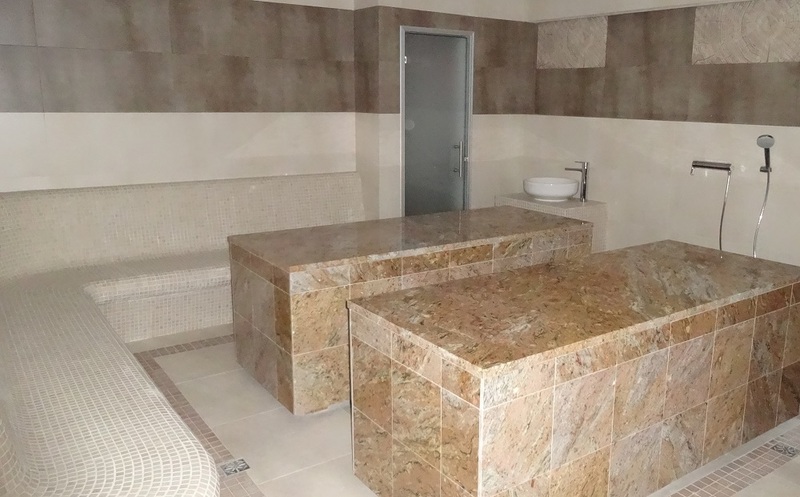 Relaxation after a busy day with a visit to the swimming pool and spa area, where you will find a sauna, steam room, hammam and massage and beauty treatments. The Full Swing Golf Simulator gives excellent feedback on ball flight when the ball only travels a few feet into the screen. It beats into a net where the only feedback is the feel of the ball off of the club head. The Golf Simulator allows to match up the feel of the strike with the data received from the computer. This keeps the practice session more interesting and beneficial. One of the way to use Golf Simulator is In practice mode. With the Simulator covering abort a dozen courses you are able to go to a certain hole and hit numerous tee shots or approach shots. You can use the Simulator not only In Winter, Instead of spending a lot of time In a car getting to a golf course , you can use the Simulator to practice. Minigolf is a play that attracts more and more funs In Poland. It is a form of activity for family – you can play with your children, your age is not important. GOLF – The location of the Hotel *** Wieniawa on the outskirts of the Gdynia – Gdańsk – Sopot allows easy access to golf courses in our region. Sierra Golf Club complex is located near Wejherowo Pętkowice, the area of ​​82 ha, about 25 kilometers from the western borders of the TriCity. The beauty of nature, excellent facilities and professional service create the atmosphere of the club. SGC is not only safe golf course, but also a meeting place of friends who share common passions. Sierra Golf Club meets all world standards. Sierra Golf Club offers a full-sized, 18-hole championship golf course (par 72), equipped with a modern driving range (26 sheltered from the rain), putting, chipping and pitching green. Trip to the Aqua Park in Sopot – our guests receive discount coupons for tickets to Aqua Park in Sopot, authorizing up to 15% discount on the purchase of tickets. Canoe cruise around the beautiful and charming rivers and Piaśnica Reda. Recreation and tourist rallies for the active, love nature and tranquility. The family, individually, with friends. We provide: rent kayaks, organizations, rafting, kayak transport, car delivery drivers. Cuisine: In our Palace cellars we have arranged a cozy Pub, in which our barmen not only advise you of how to select a good wine, but they prepare delicious drinks for you as well. The Pub is an ideal place to relax and to meet friends. During the summer holiday hot days it is recommended to come round there and have some cold drinks or juices. In the Pub we can organize business meetings or chamber concerts.